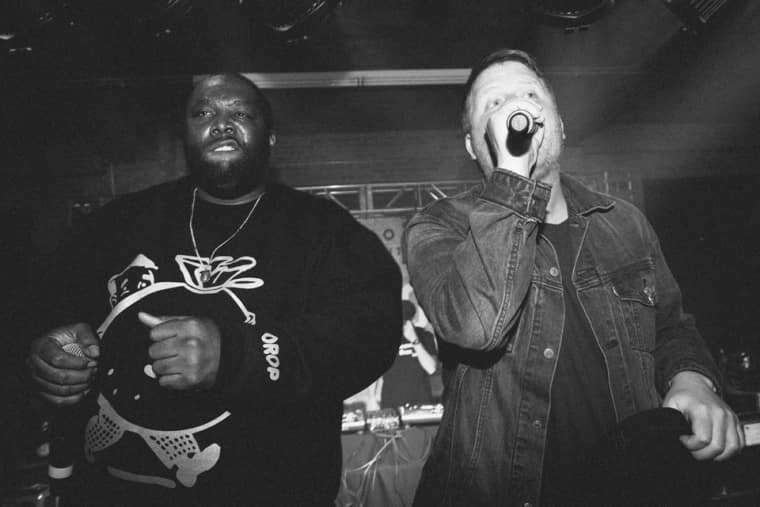 While performing together at SXSW as Run the Jewels, El-P and Killer Mike had a momentary setback when an unidentified man stormed the stage and tried to attack them. Video footage of the incident shows the man heading straight for El-P and blocked by Killer Mike, before fighting with crowd members and ultimately being knocked out by a security guard. The pair continued on with their set, joking about the scuffle, and addressed it afterwards on Twitter.